The University Archives is working hard to bring more and more of its collections out of hiding and make them available to researchers. 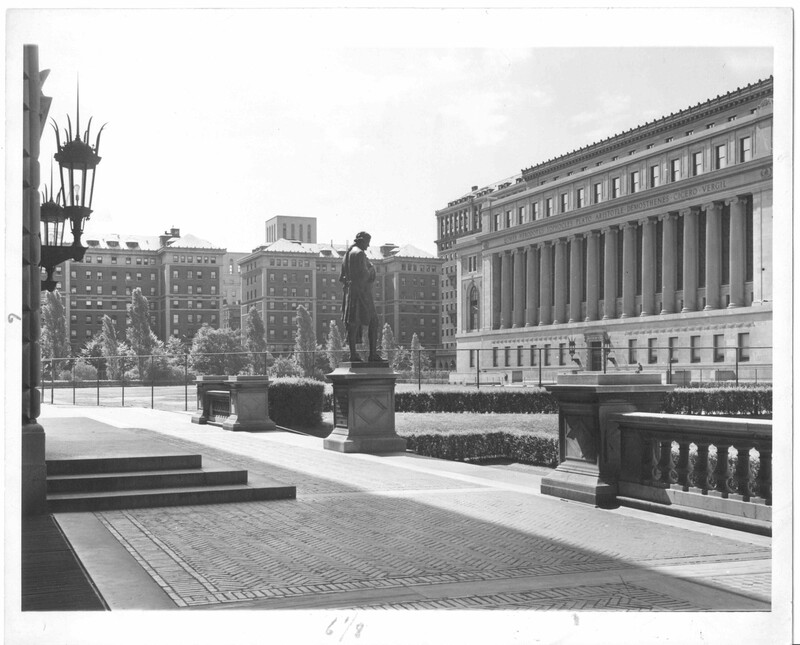 As part of that effort we recently published finding aids for three Columbia photograph album collections: two featuring scenes of the Morningside campus from the 1930s and 1940s and one from President Nicholas Murray Butler. The Walter L. Bogert Photograph album, 1932-1943, captures views of Columbia campus and of Morningside Heights taken by alumnus W.L. Bogert (AB 1888, AM 1889, LLB 1934). He lived at 25 Claremont Avenue and produced a photographic record of his alma mater and neighborhood. Some of his campus building photographs were included in the 1940 Columbia University calendar. This album serves as a comprehensive source for campus views of this period and includes scenes of Student Army Training Corps (SATC) reviews. This entry was posted in Columbia University Archives and tagged Holcomb EM Jones, Morningside campus, Morningside Heights, Nicholas Murray Butler, photography, photos, Walter L Bogert on April 19, 2018 by Kimberly Springer.